Jainism Followers - What many Jains are there? Where do they live? Currently, there are approximately 4.2 million Jains in the world. Jainism is usually considered the smallest of the major world religions (although of course there are other religions with followers around the world with fewer followers). The country with the most Jains is India. The Indian states of Gujarat, Maharashtra, and Rajasthan, have the largest Jain populations. The Indian states of Bundelkhand, Karnataka, Madhya Pradesh, Tamil Nadu, also have fairly large Jain populations. Other countries with fairly large Jain populations include the United States, the United Kingdom, Canada, and Kenya. 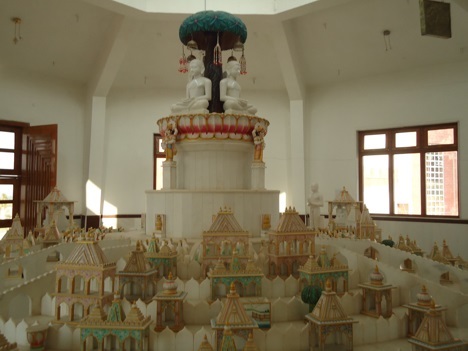 Smaller Jain communities exist in many other countries including Australia, Belgium, Fiji, Hong Kong, Japan, Malaysia, Nepal, Singapore, South Africa, Sri Lanka, and Suriname. Jainism is particularly strong in the United States. There are several dozen jaina templates in the US, which have mostly been built by Gujarati Jains. The Indian diamond community in Antwerp, Belgium is almost entirely composed of Jains. In 2010, this community opened the largest jaina temple outside of India.